See me before you need me is what my father always used to say. When the temperature hits 100 degrees there will be lines at every shop to get air conditioning inspected and repaired. 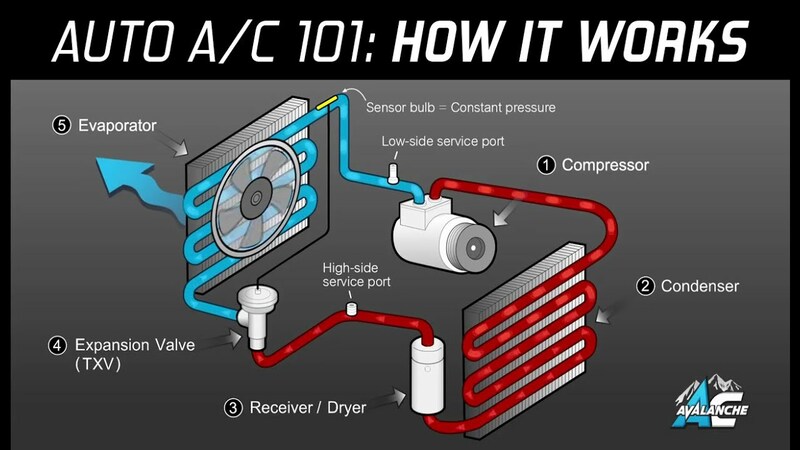 Bays Complete Auto Repair in Phoenix has performed 1000’s of auto air conditioning repairs in our 8 years in business. We are the experts and we always do what is best for the customer. Take a look at our Google and Yelp reviews. Typically most shops including the dealerships will recommend replacing the entire system costing well into the thousands while we at Bays Auto only replace the necessary parts to get your A/C working properly. We typically get most vehicles to blow around 44 degrees. We also offer an industry leading 3 year/36k miles warranty. Bring your vehicle in for a free air conditioning inspection. We will inspect hoses and components for leaks, check the temperature and the compressor clutch for proper operation. 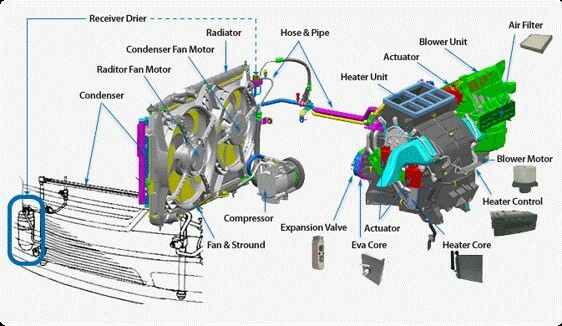 Furthermore, we will inspect the engine performance as problems with the motor can and will affect the A/C performance. You may only need a recharge of the Freon with new oil & dye or we may discover an easy to fix leak in the Schrader valves. We put dye in with the Freon because as you can see in the diagram there are a lot of places a leak can hide and the dye will help us locate the culprit. This free air conditioning inspection does not include evacuation or recharging the A/C system. Once we discover the damaged component we will then give you detailed explanation of what needs to be done along with a competitive quote.